Pastor Mark and his wife, Dayna, also served for 11 years at the International Christian Fellowship in Almaty, Kazakhstan. 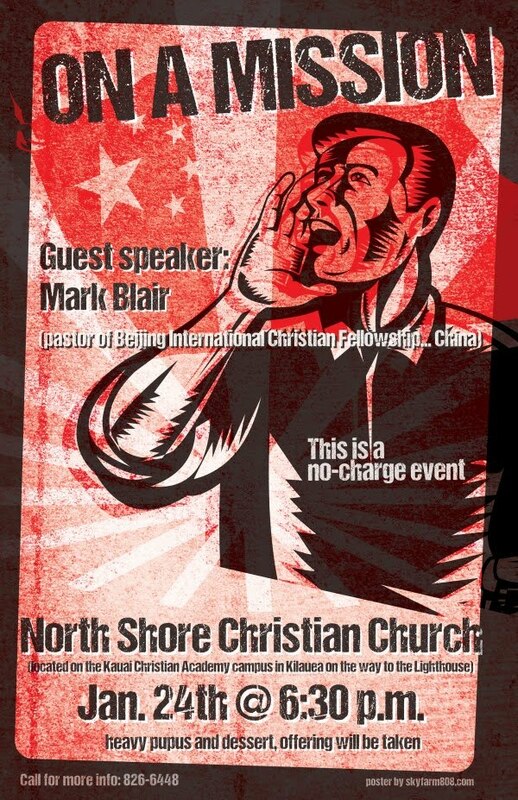 Come hear the challenges of a pastor's life whose call is to serve in areas that are politically unstable and whose culture is foreign to most American Christian. Over 600 youths to attend this event. 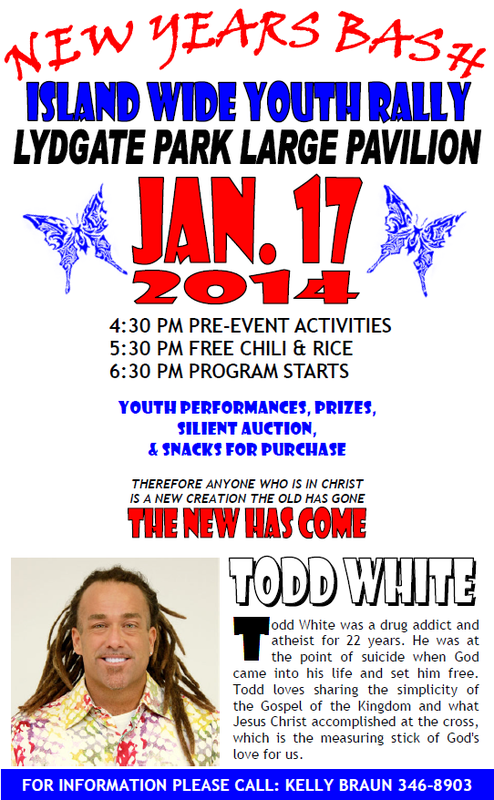 Motivational guest speaker and evangelist, Todd White, who has traveled and ministered nationally and internationally. He is currently in Africa speaking and ministering to thousands of people. 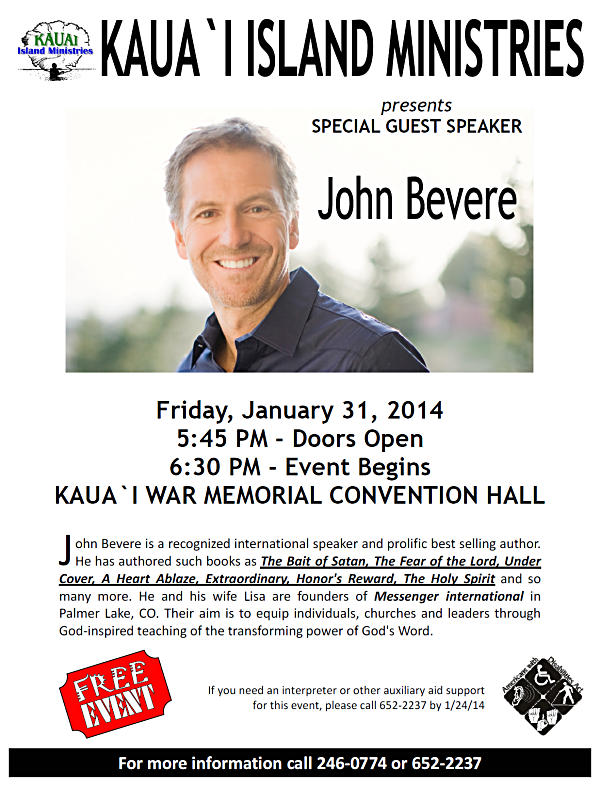 We are absolutely delighted to announce that John Bevere will be returning to Kaua`i on Friday, January 31 and will be speaking at the Kaua`i War Memorial Convention Hall. This is a FREE EVENT. Doors will open at 5:45 PM & program begins at 6:30 PM. Please help us inform your families and friends about this special opportunity to hear John Bevere again. We would discourage bringing children below 13 years old. John and Lisa Bevere founded Messenger International in 1990. A well-known & best-selling author, John delivers messages of uncompromising truth with zeal & courage. 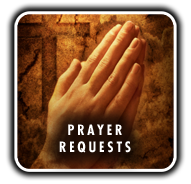 His desire is to support the local church and resource leaders regardless of location, language, or financial position. To this end, his books & study resources have been translated into over 60 languages and are freely distributed to church leaders in many nations. For more information and be involved in this event, please call Kaua`i Island Ministries at 808-246-0774, 808-652-2237, or 808 652-1829. 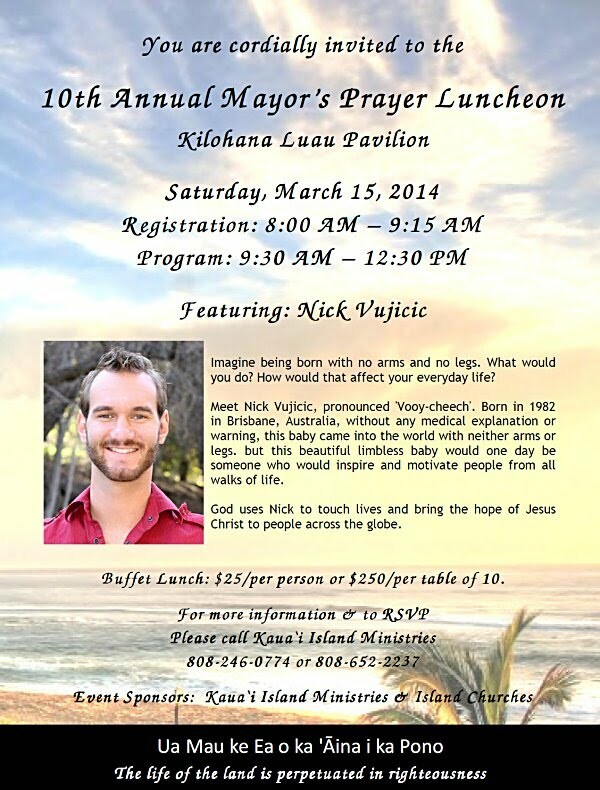 The 10th Annual Mayor's Prayer Luncheon is set for Saturday, March 15, 2014 at the Kilohana Plantation Luau Pavilion. The guest speaker will be Nick Vujicic, a globally renowned motivational speaker who just completed a multi-country 2013 World Outreach as the "Interpreter and Ambassador of God." A New York Times bestselling author, his audience has reached over 4 1/2 million. He is the author of Unstoppable - The Incredible Power of Faith in Action; Living Above Your Circumstance; and Inspiration for a Ridiculously Good Life. Nick was born without arms or legs but God gave him a big heart of faith which he uses to encourage others to live in hope to overcome challenges. You will not want to miss hearing him. Please inform your friends and family about this event.